As numerous tax programs are discussed and Washington debates the pros and cons of various aspects of our tax code, one area that we seem to hear a lot about is the earned income tax credit (EITC). This tax credit is either a benefit to working families, or a provision of the code that has to be dramatically changed, depending on your viewpoint. 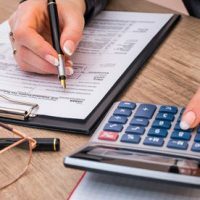 What is the Tax Credit? While we often think of tax cuts and credits as being reserved for large companies or the very rich, the EITC is a credit that goes to lower and middle class earners. The credit is based not just on income but children in a family. Depending on how many children a family has, earners who make approximately $37,000-$51,000 qualify for the credit. The credit can be as high as $6,000 yearly, for families with three children. For those without children, the income level to receive the credit is much lower, about $14,000, and childless workers must be between 25 and 64 to qualify. The credit comes in the form of a refund that will be cut back to you from the IRS if you apply for it and qualify. Once the maximum credit level is reached, it plateaus, and the taxpayer can keep qualifying for the credit, until and unless too much income is made, and the income exceeds the required threshold to obtain the credit. These credits have come under some scrutiny. One study estimates that 24% of people received EITC refunds improperly or incorrectly. Many agree that this stems from the overly complex rules as to when and how the EITC applies. One area that causes confusion is with qualifying children. To qualify under the EITC, a child must live with a parent for at least half the year. This can affect domestic disputes and divorce proceedings. Parents should be aware of EITC, and properly calculate how many days a child of a divorce spends with them. In some cases, argument in a divorce may occur when both parents want 51% of custody over a child in order to take advantage of the credit. Parents who may end up with 48 or 49% of time may want to negotiate additional benefits to compensate for the loss of the EITC. The EITC has supporters on both sides of the isle. Because applicants have to actually be working to obtain the credit, many like it as a way of incentivizing people to go to work. Businesses like the EITC because it adds to an employee’s benefits or income without the employer having to increase wages. Many lower income earners don’t take advantage of the EITC thinking that because of their lower wages, they do not have to file taxes, or otherwise, they will file themselves and not apply for the credit. Make sure you’re getting the benefit of every available tax law. Contact Tampa business attorney David Toback to discuss your tax position.